One of the most significant developments in foreign trade in Latin America came with the establishment of Mexico’s manufacturing sector and the development of ‘maquiladoras’ – essentially, factories run by foreign companies that operate under preferential tariff programmes. To provide a sense of the magnitude of change, 20 years ago, 80 percent of Mexico’s exports were commodities – primarily crude oil. Today, almost 90 percent of Mexico’s exports are manufactured products. Foreign imports into Latin America fluctuate with the degree of economic openness each country exhibits – and that openness is very much a function of the prevailing political winds. Although the dynamics may shift over time, foreign trade continues to represent a key economic component for Latin America. 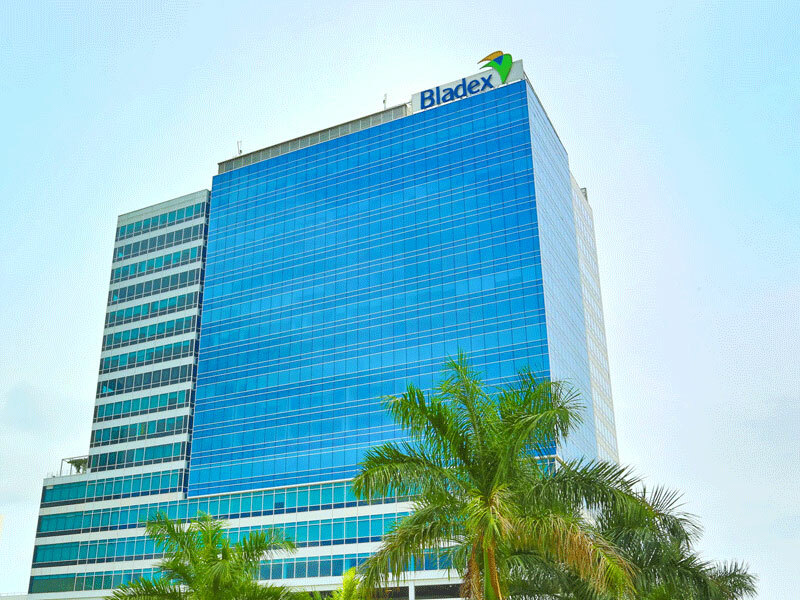 The Foreign Trade Bank of Latin America (Bladex) has played a vital role in facilitating this trade, providing solutions for financial institutions, companies and investors. World Finance spoke with Gabriel Tolchinsky, CEO of Bladex, about the company’s commitment to the region’s present and future success. The 1970s and 1980s were tough for Latin America. With the onset of inflation came significant political turmoil and a mistrust of local currencies, which meant foreign trade became a desperately required source of income for Latin Americans. Governments and central banks in the region grappled with how to promote trade and bring much-needed hard currency into the region. Foreign banks were already full of Latin American credit – mostly through loans to governments that were running significant deficits as they sought to prop up their inflation-battered economies. Local banks were not equipped to pick up any significant slack left by the dearth of foreign banks to finance trade transactions, as their own sources of funding were limited. As a result of the work undertaken by Bladex, many local banks now have access to international funding and many foreign banks have a local presence. Nevertheless, Latin America continues to experience sharp economic convulsions from commodity price volatility, weather patterns, political turmoil and structural deficiencies. Fiscal problems are prevalent throughout the region, and some countries also experience balance of payment issues. Even considering these challenges, foreign trade in Latin America is set for more growth. The two main drivers in Latin American trade are higher prices for key commodities and incremental foreign demand, particularly in the US and Asia. Latin American exports generally correlate with commodity prices and external economic growth – whatever the level of trade, Bladex is sure to have the right solutions for all customers and markets. The current political and economic climate in Latin America is uncertain. The US, Latin America’s biggest trading partner, is exhibiting signs of disillusionment with the current global commercial order. Should the US cease to be a reliable market for Latin America, it’s important to understand the implications. If Peru deems China a more reliable partner for purchasing agricultural products, it will also buy more Chinese-manufactured products. Trade relations will change, logistics will be set up and new agreements will ensue. Further, structural imbalances, such as fiscal and current account deficits and significant infrastructure deficiencies, make Latin America dependent on foreign capital. Although many countries develop local capital markets, foreign investor participation is still crucial because foreign capital owns a significant percentage of the assets in local markets. In Mexico, for instance, foreign investors own about 60 percent of the local treasury bills and price these assets in terms of their potential for US dollar returns. After the turbulent 1970s, 80s and 90s, democracy now appears to be entrenched in most of Latin America. But as politicians in many countries are learning, democracy is about more than just voting: governmental accountability and available legal processes are shaking another foundation of the business, as well as political classes that previously operated with significant impunity. It’s worth noting how many Latin American governments and business leaders are subject to corruption investigations. Opportunities are already being identified: Bladex is bullish about Colombia, believing that credit demand will start growing there and local banks alone will not be able to fill the gap. In Mexico, disappointment with a policy shift set by the incoming administration is repricing national assets. This repricing also represents an opportunity for Bladex to originate short-term assets. In Brazil, meanwhile, elections are over, which means it should also start growing. Even in Argentina, which is likely to enter a recession while complying with its IMF programme, there are some strong companies in existence. At Bladex, the economic trajectory of each Latin American country is carefully considered, whether times are good, bad or somewhere in between. There currently are some standout trends developing in the Latin American market; the first of these concerns exports of value-added products along international supply chains. It is likely that some countries may try to increase their exports to new markets, such as Asia, as trade channels get redefined. The second is that ‘multilatinas’ – Latin American companies that have outgrown their home market and become multinational – are set to play a larger role in regional growth. The third relates to intraregional trade, which is set to increase from 16 percent to 23 percent. In addition to these trends, a number of potential risks have appeared on the horizon. These include the continued strength of the US dollar, possible protectionist measures by Latin American countries, tighter financial markets, and volatility stemming from geopolitical events. Bladex has its own risks to navigate: the main challenge will come in the form of new financial technology companies intent on disrupting established players within the finance industry. There are a few unique aspects that will help Bladex fight off its competitors: first, it has a regional footprint that allows it to price Latin American cross-border risk. This means that Bladex can better evaluate risk and optimise trade value chains. In addition, Bladex’s role as a reference bank in Latin America means it is often the first choice for businesses operating in more than one market. However, Bladex doesn’t aim to compete with local banks. In fact, more often than not, local banks are its clients. During the first half of 2019, Bladex aims to solidify its operating model to more efficiently support its existing business processes. As its operational and technology platform improves, there are numerous growth paths it can take to expand its product breadth. If it is successful, there is little doubt that it will be recognised as the leading institution for supporting trade and regional integration across the Latin America region. Bladex certainly has lofty goals, but there is no reason why they cannot be achieved.